01 January 2013, at 12:00a.m. 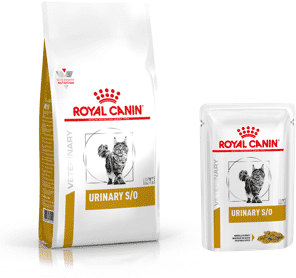 IT is vitally important before considering any dietary changes in dogs and cats with GI disturbances that an accurate diagnosis has been made. An overview of the clinical signs, diagnosis and general treatment strategies for GI disease is beyond the scope of this discussion; however, this article aims to provide the reader with a brief overview of the general considerations when feeding a dog or cat with a GI disturbance. There are a number of conditions for which an exclusion or hydrolysed diet are indicated; however, these diets will not be discussed in this particular article with, instead, more focus given to the key constituents of a GI diet. The effect of both the composition and consistency of a diet on the normal functioning of the GI tract should never be underestimated. Protein is an essential component of GI diets because it is vital for the maintenance of intestinal health. Within the GI tract, protein is crucial for the production of brush border enzymes, a normal turnover of enterocytes and maintaining GI immunity. The amino acid glutamine is also the major source of energy for the enterocytes in the small intestine. GI diets should contain a source of highly digestible protein (at least 87% digestibility) to help reduce putrefaction of undigested protein in the colon. A highly digestible carbohydrate source is also important for the management of GI disease. Rice is one of the most preferable carbohydrate sources because it is readily digested by the body. Fat is included in GI diets as a source of calories and also to provide fat soluble vitamins and essential fatty acids. The omega-3 fatty acids eicosapentaenoic acid (EPA) and docosahexaenoic acid (DHA) are also useful to help support digestive health. GI diets often contain a source of fibre. Soluble fibres, such as the prebiotic fructo-oligosaccharide (FOS), are rapidly fermented by bacteria in the colon into short-chain fatty acids (including butyrate). 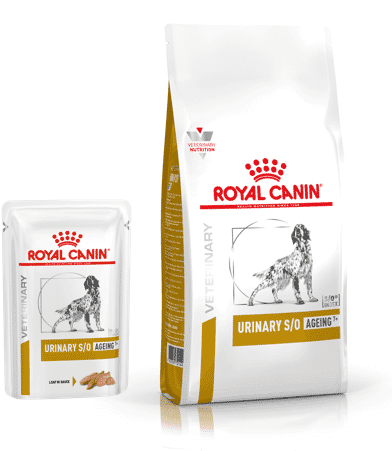 Since butyrate is the major source of energy for colonocytes, the use of soluble fibre is recommended for the nutritional management of pets with various GI conditions. Another prebiotic, mannan-oligosaccharide (MOS), is also added to GI diets. MOS is derived from a yeast cell wall and it acts to reduce the ability of potentially harmful bacteria to attach to the intestinal wall and negatively impact on intestinal tract health. Studies have shown that MOS may also confer a benefit on the intestinal immune system. The use of diets high in insoluble fibre can be beneficial for the nutritional management of dogs with colitis. This is because insoluble fibres can help to regulate intestinal transit and consistency of the faeces, reducing straining. By feeding a dedicated GI diet, one can be sure than an animal will receive all the essential nutrients described previously. The level of fat within a GI diet varies depending on the specific indication for that particular diet. Diets that contain a high energy density and high quality fat content are favourable for when smaller meal volumes are required. This reduces the load on the intestines but at the same time promotes excellent palatability of the diet. Other GI diets contain a much lower fat content which helps to improve digestive function in dogs where a high level of dietary fat is contra-indicated. Dedicated GI diets for puppies are also available – which have balanced nutrient and energy levels to help support optimal and safe growth. These diets have been formulated to provide an adequate level of energy for growth and allow a reduced meal volume, reducing intestinal workload. They also allow for the fact that the digestive tract is still developing and so has a lower digestive capacity. In summary, dedicated GI diets will provide tailored nutrition to maintain optimal digestive health and function for your canine and feline GI cases. A range of GI diets allows the selection of the most suitable nutritional characteristics for a particular case and dedicated GI diets have become the cornerstone for the nutritional management of these patients.